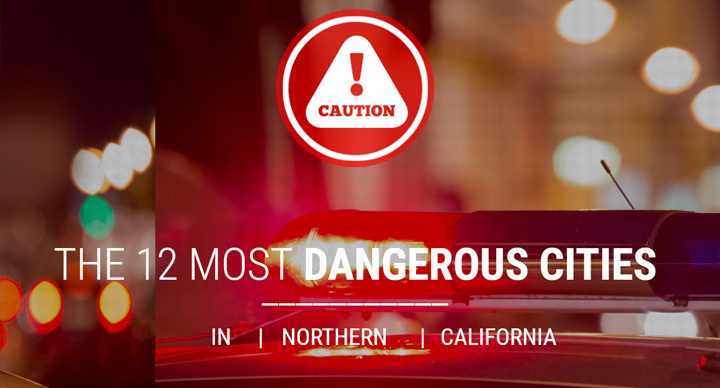 What cities in Northern California are the most dangerous? Which cities are the safest? This website looked at the most recent crime data from the FBI, analyzing violent crime throughout the state. Oakland has a reputation for being a dangerous, crime ridden city, and after looking at the data, we feel it’s well deserved. They analyzed these many types of crimes, along with the population of the cities throughout California, to come up with their rankings. Only cities with at least 30,000 residents were included in the study, to avoid having too small of a sample size. To come up with our rankings, we took the total population of each city across the state, and divided it by the total amount of violent crimes committed in that city. In addition, we have included a sortable table at the bottom of the page, with crime statistics from 460 cities in Califoria. If you’re interested to see where your city ranks, you can take a look for yourself.